I made The Wright Mistake reading this book. This book was a little bit deeper of emotion for me as a reader, and not quite as light hearted as the previous two in the series. My honest opinion is this is the best one yet. Austin and Julia have both had their worlds turned inside out. One is trying to have a fresh start, and the other is still drowning in his sorrow. Their undeniable attraction is off the chain intense. They are quite simply like a match to a flame. There was quite a bit of darkness in this than we usually see as well. I don’t want to spoil anything just for the sake of reading this story all the way to the end. It’s not all unicorns and rainbows for the family in general. The dark hour lies ahead for them, but somehow it transpires into a deeper bond, not only with Austin and Julia but everyone. I felt more connected to The Wright family more than I ever have before. If you want to feel like you are a part of them, then read this book. 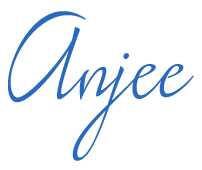 thanks for your review Anjee want to read this series!